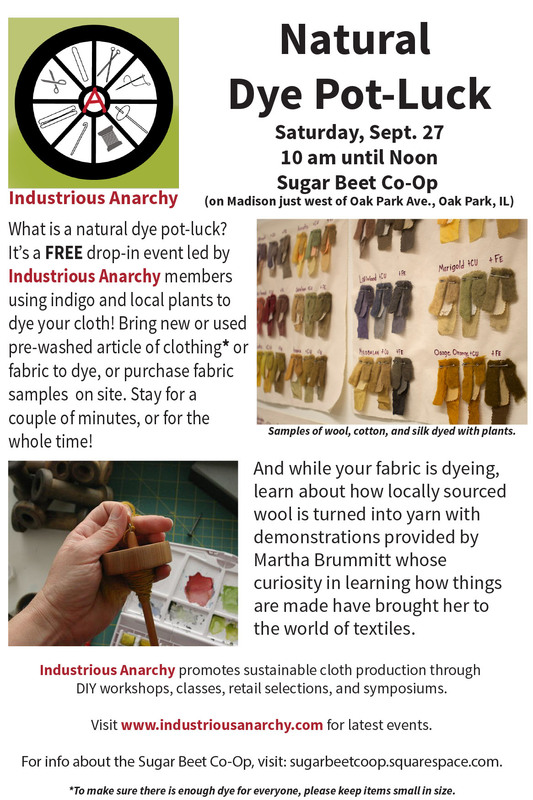 My friend Maggie, of Industrious Anarchy was demonstrating natural dying of fabrics and yarn at the location of the soon-to-be Sugar Beet Coop. 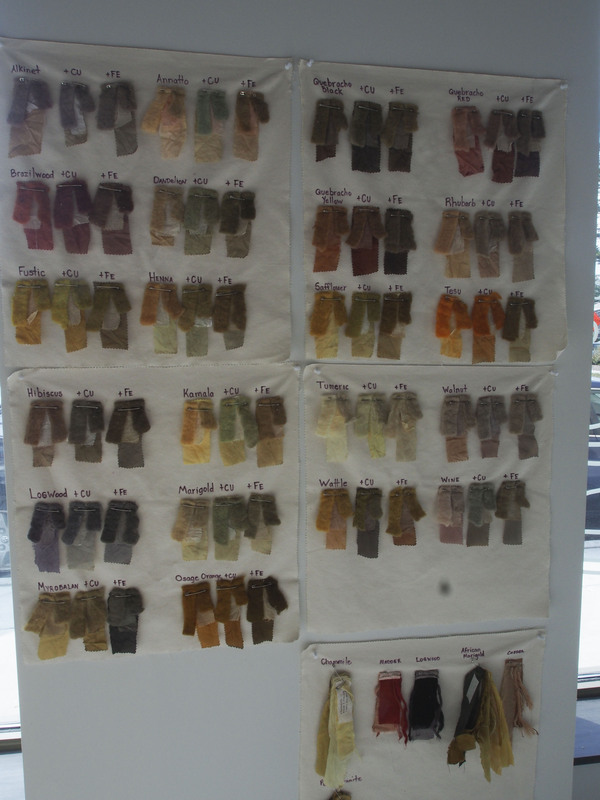 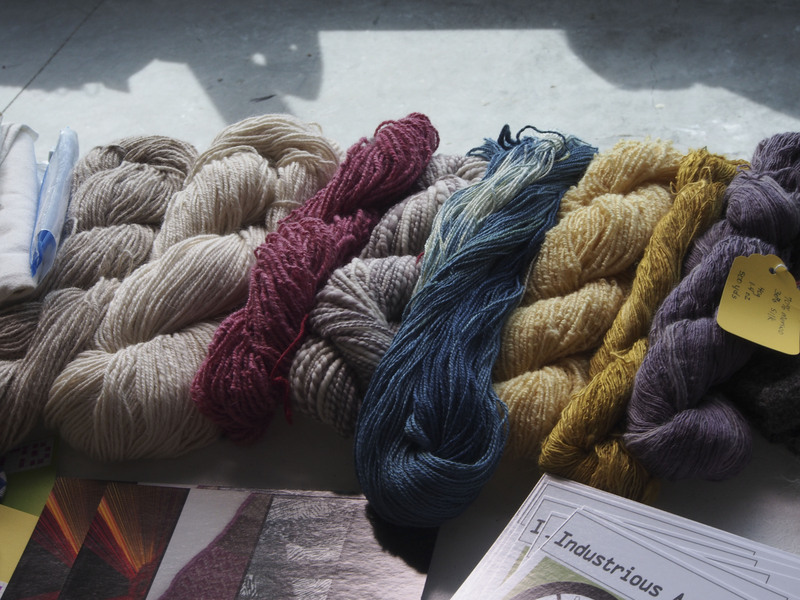 She had a great board showing natural dyes on different fabrics. 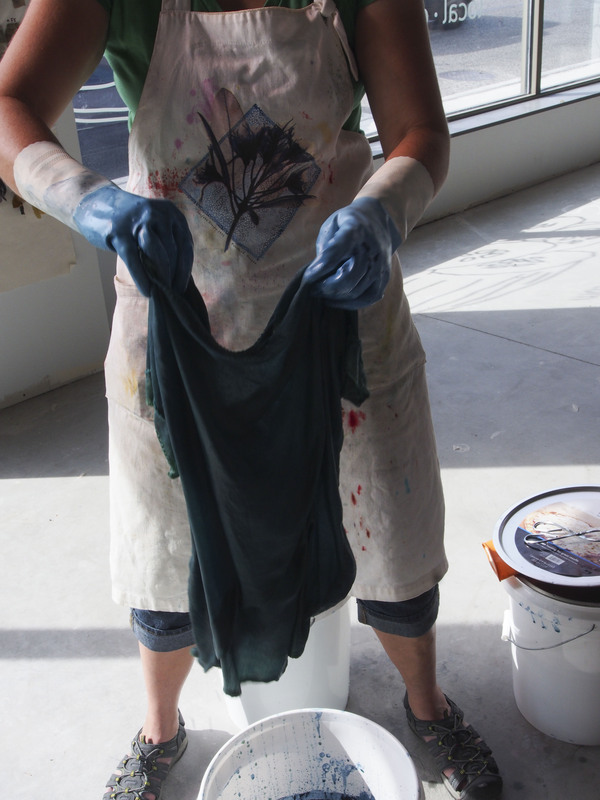 People brought in fabrics and clothing to be dyed. 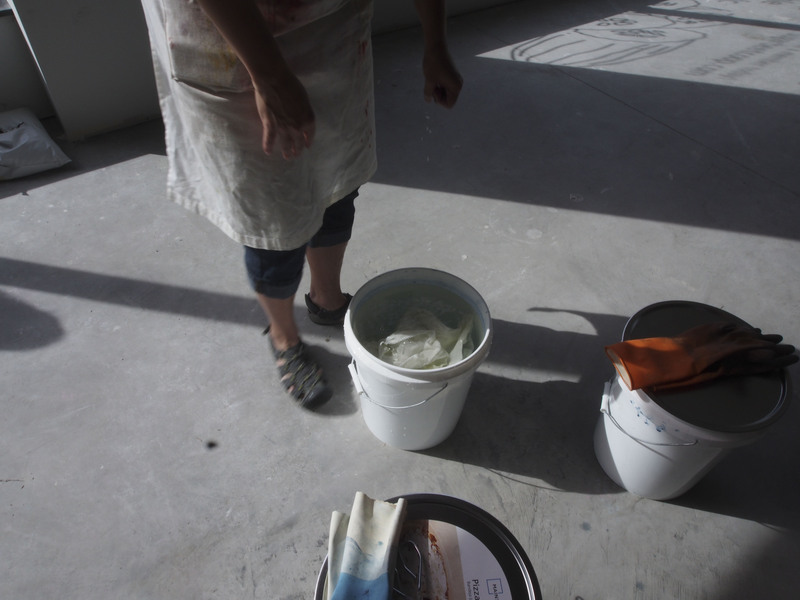 First the fabric was wetted. 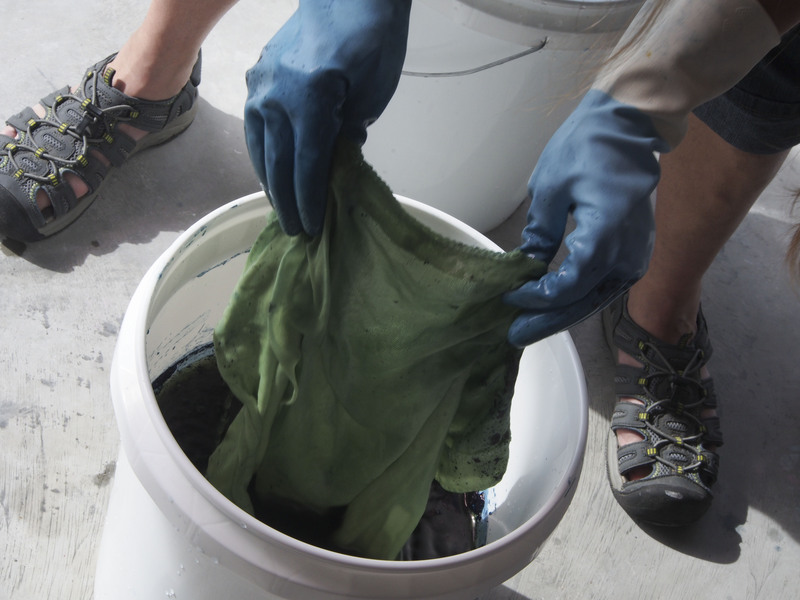 Then immersed in the indigo dye vat. 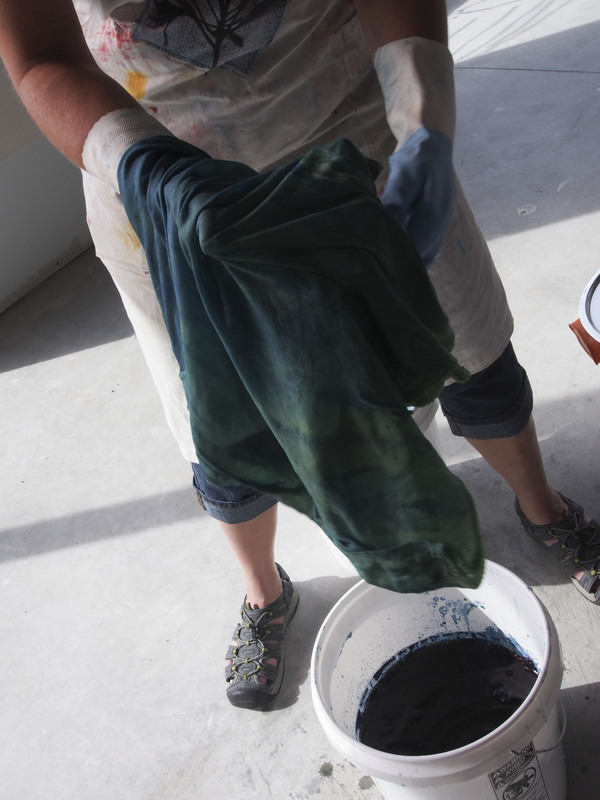 It comes out looking green, but as she let the areas become exposed to oxygen, they turned the beautiful indigo color. 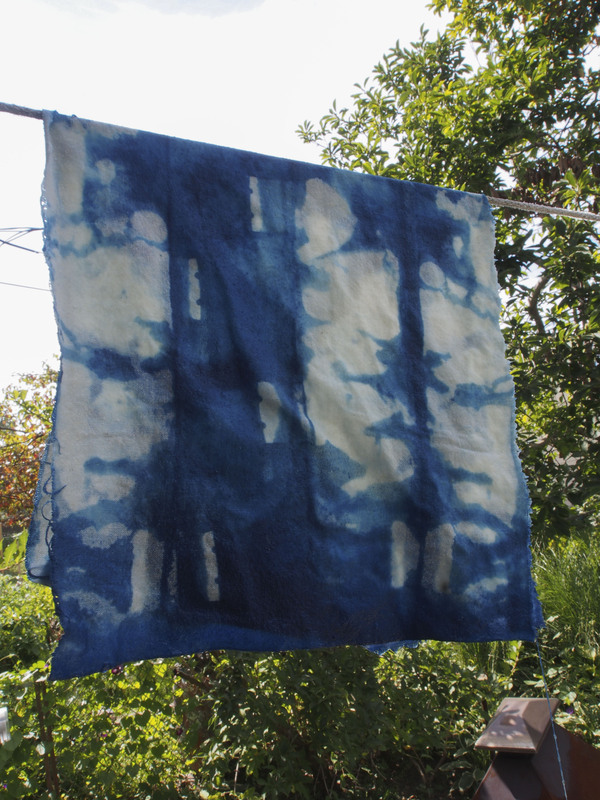 Here is the raw silk fabric that I dyed, we used clips to keep parts of it from accepting the dye. 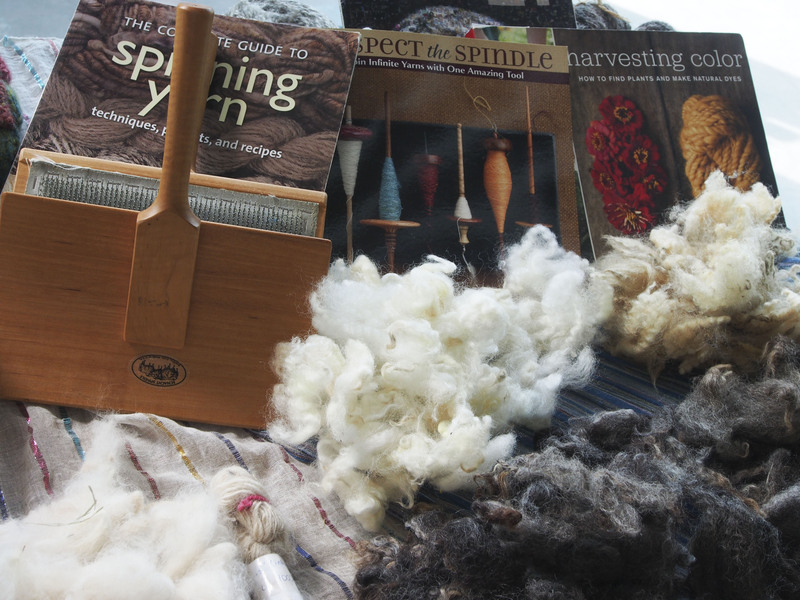 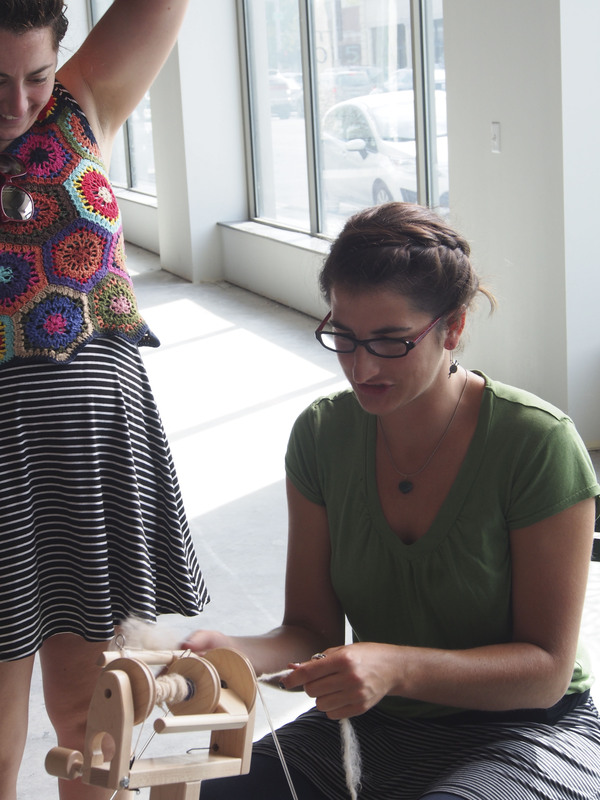 And also at the event was Martha, whom I had met at YarnCon earlier in the year, teaching about spinning and fibers. 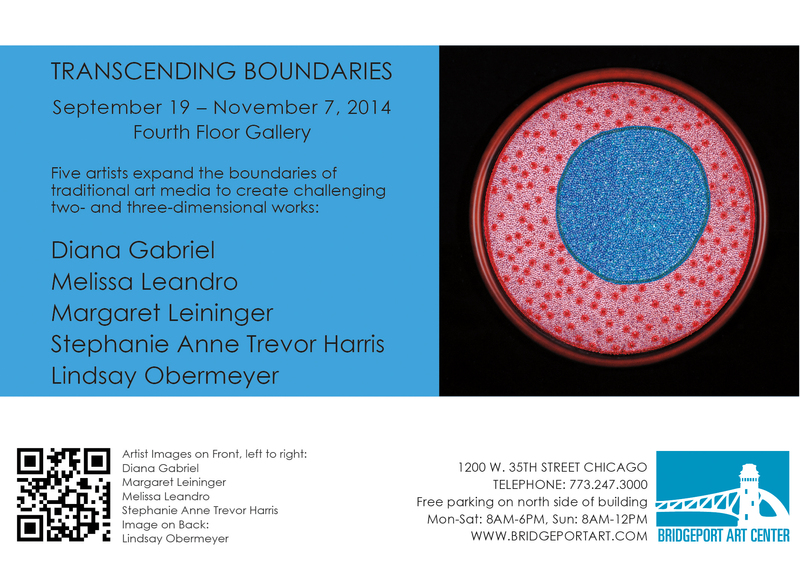 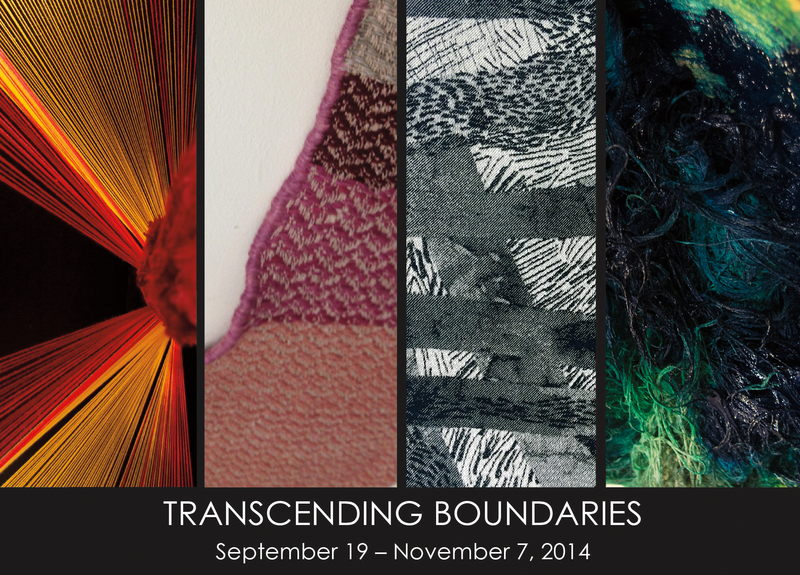 If you want to find out more about what Maggie is working on, check out this exhibit that she is working on.